Here we are a couple week into 2019. The government is shut down. The holiday burn is finally over. The weather has been, well the weather. 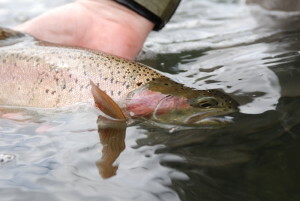 Winter Steelhead are being themselves. Tough to find elusive and rewarding. If you have not been out you should. 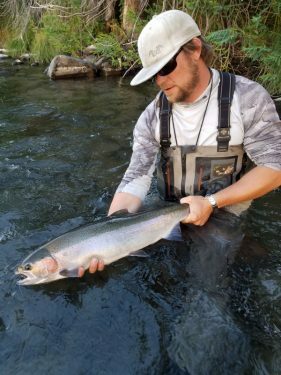 It is way harder to catch Steelhead from the couch than from the river. If your still looking to get out, make sure you go through all you necessary items before getting to the river. Number 1 so you know where it is when needed. Number 2 to make sure it is not out or low. Things like tippet, sink tips, and the working fly. Tailing a Steelhead in last years Deschutes Spey School. now I have spent the last year very busy and this fall/winter busy as well. I will start blogging again on a weekly/bi-weekly basis. As for now, here are some new things to come. 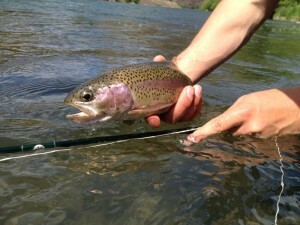 This year again I will be doing the 3 day Spey School on the Deschutes. This will happen the last week of July. 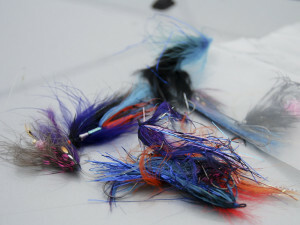 Second I will be doing a similar Spey school about fishing sink tips and deep flies in November. Lastly dates are not set but sometime in the first 2 weeks of April a competition Spey clinic at the Moreland ponds , date TBA. Trying to tame a monster!!! I have another big thing happening here in the next few weeks, so stay tuned to see!!!! Lastly, I have one open spot on my Costa Rica tarpon trip… if anyone is interested please contact me!! Thanks tight lines and talk soon.